Chemotherapy related cognitive impairments are common in breast cancer patients undergoing chemotherapy. These cognitive dysfunctions are mainly attributable to chemotherapy related brain structural and functional alterations. 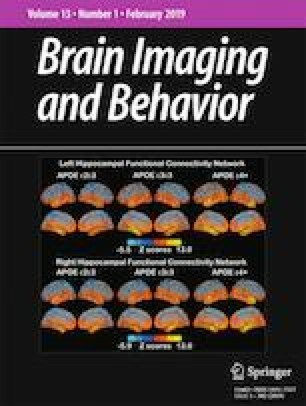 Multimodality magnetic resonance imaging (MRI) can reveal brain gray matter volume loss, white matter microstructural disruption, reduced gray matter density, impaired cerebral blood flow and brain structural and functional connection networks at both local and global levels. This review outlines the potential applications of multimodality MR imaging techniques in chemotherapy induced cognitive deficit in breast cancer survivors and provides future research perspective in this field. The online version of this article ( https://doi.org/10.1007/s11682-019-00074-y) contains supplementary material, which is available to authorized users. This is a review article and therefore does not contain any new data from studies with human participants or animals performed by any of the authors. Detre, J. A., Wang, J., Wang, Z., & and Rao, H. (2009). Arterial spin-labeled perfusion MRI in basic and clinical neuroscience. Current Opinion in Neurology 22, 348–355. doi: https://doi.org/10.1097/WCO.0b013e32832d9505. Glover, G. H. (2011). Overview of functional magnetic resonance imaging. Neurosurgery Clinics of North America, 22, 133–139vii. https://doi.org/10.1016/j.nec.2010.11.001.